Blenners Transport is one of North Queensland's largest family-owned rail and road transport operators. Since its establishment, Blenners Transport has continued to grow steadily to meet the ongoing ever changing demand of their clients. 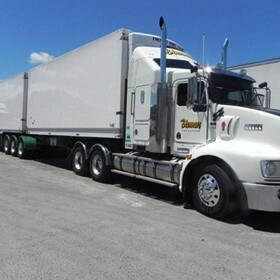 Blenners Transport has a fleet of 80 line haul combinations including singles, B-doubles and road trains and 24 rail containers which services the requirements of its clients from dry and refrigerated to frozen freight.